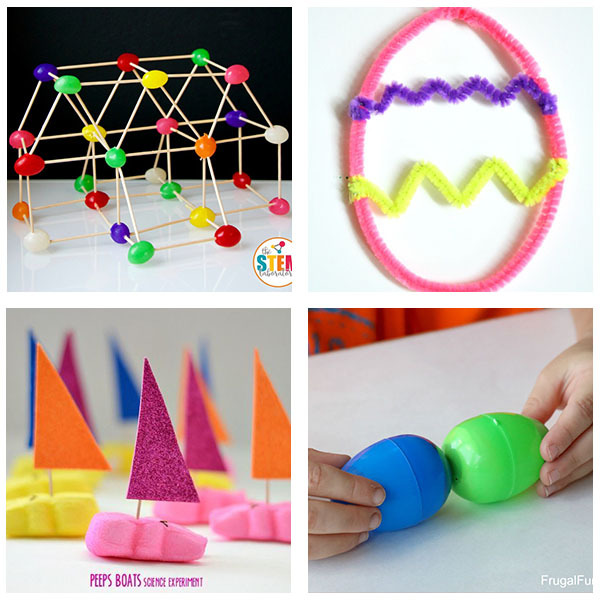 These Easter science and STEM activities will make learning fun this Easter season! 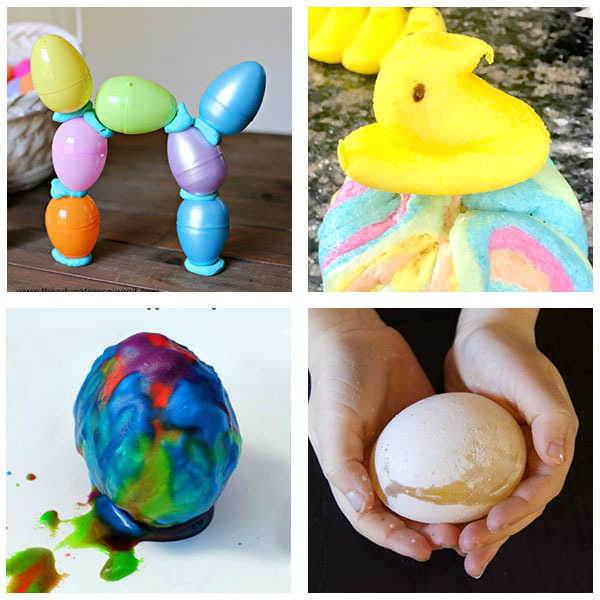 From simple science experiments to engineering and STEM, these Easter themed science activities are sure to be a hit with your kids. 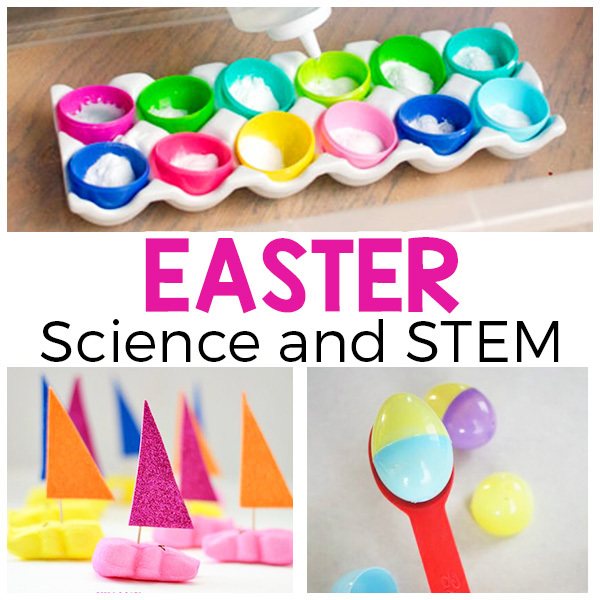 So grab the eggs and Easter candy and have a blast learning science this Spring! 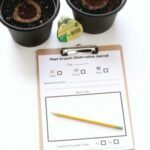 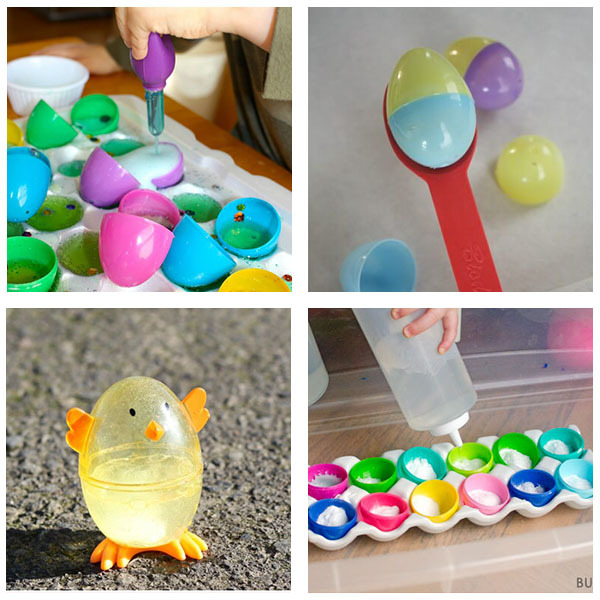 My kids are very interested in science and love doing science experiments, so I decided to scour the internet for the coolest Easter science activities I could find. 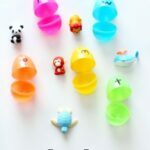 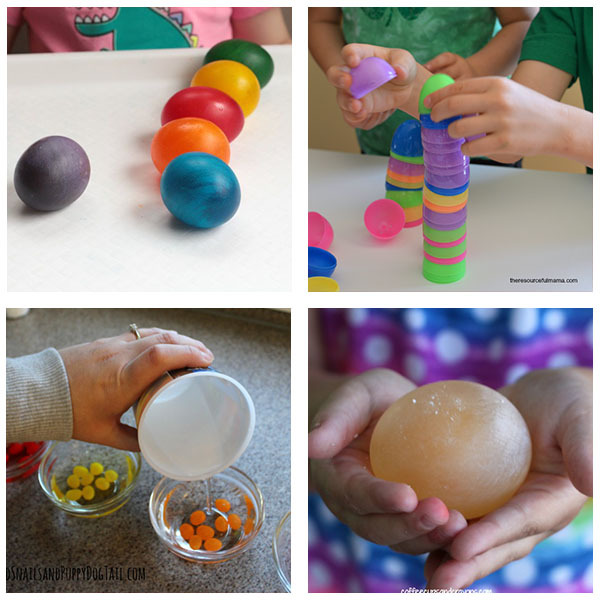 This way I have a list to turn to when we are looking for fun science experiments and STEM activities to do this Easter season. 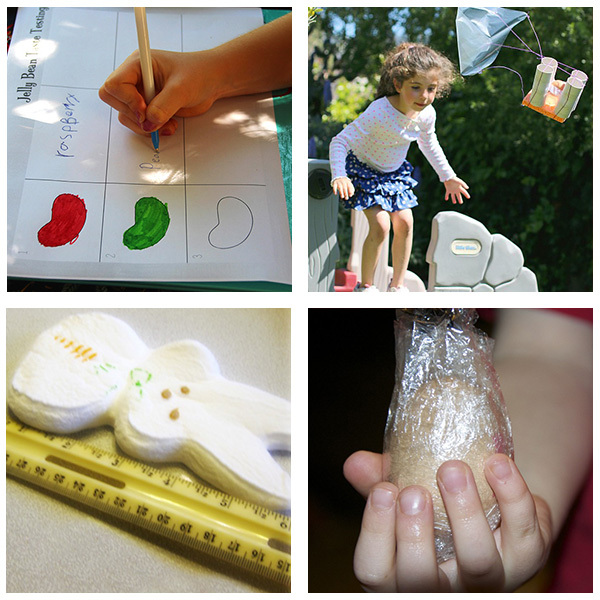 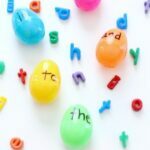 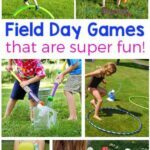 After lots of research, I compiled this awesome list of Easter science activities for kids of all ages. 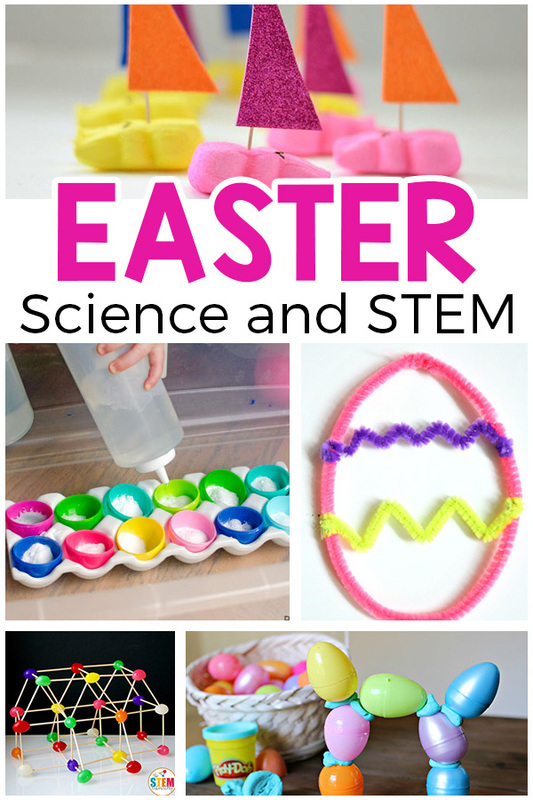 We can’t wait to try these Easter science experiments and STEM activities. 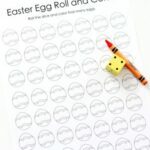 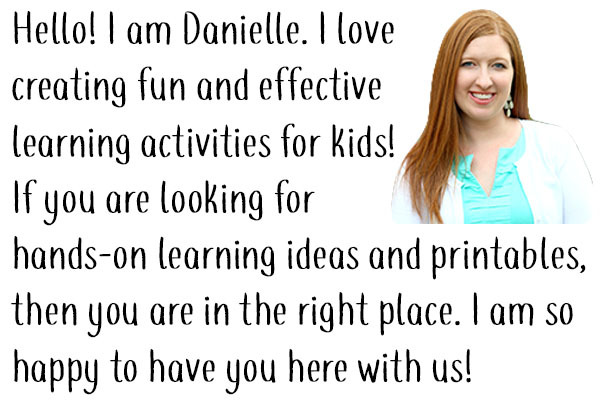 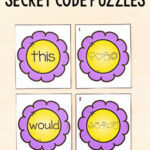 I hope this saves you time and leads to lots of fun and learning this Easter!